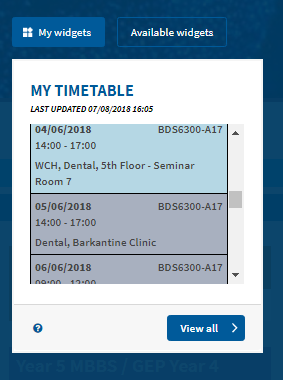 On Tuesday the 2nd April, between 7am-9am, there will be a release applied to QMplus. This release will fix some issues and add some new functionality. An updated version of the plugin will be applied and is expected to address the majority of recent issues caused by Turnitin outages (scheduled or otherwise). QMplus pinned modules – Correction of erroneous hide/show status of pinned modules has been partially resolved. There is still an outstanding issue that requires the QMplus cache to be cleared to refelect the true status (we will continue to work on this). An additional eye icon now appears next to pinned modules to indicate visibility. QMplus dashboard functionality – occasional malfunction of elements of the dashboard (widgets, pinned modules). If users click widgets they appear. However if they then click pinned modules, they appear but widgets disappear. It is inconsistent – not happening to all users & not confined to any one browser. Hidden courses in course search – courses are hidden in QMplus in the search when they are not actually hidden. Missing Strings when editing top of module area – When you edit the top of a module area the user interface strings are missing. 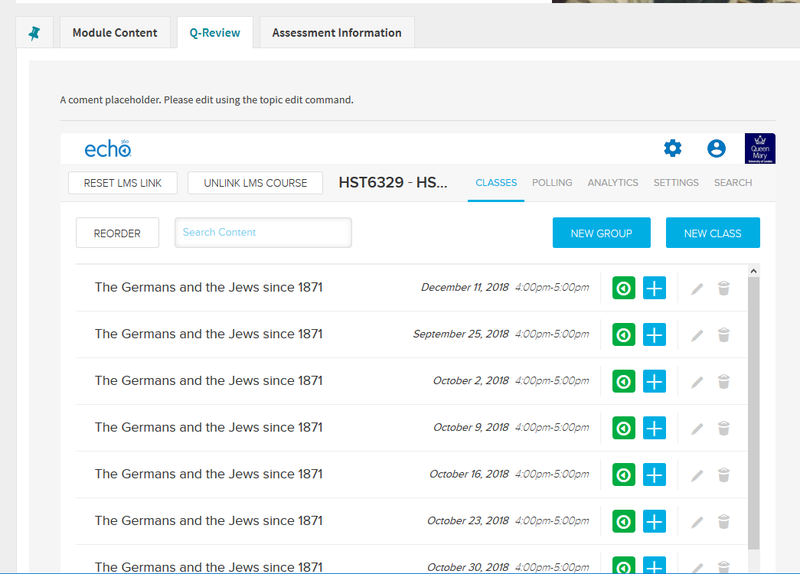 Improved tabbed course formats – some further enhancements including merger of Assessment Info block and Assessment info tab.